The Galloway training method is a unique run/walk/run® style of training that minimizes injuries and enables participants to achieve their goal of completing a marathon or half marathon. The training program welcomes all levels, from beginners to Boston Qualifiers. Pace groups are set up to ensure a comfortable and safe training pace. 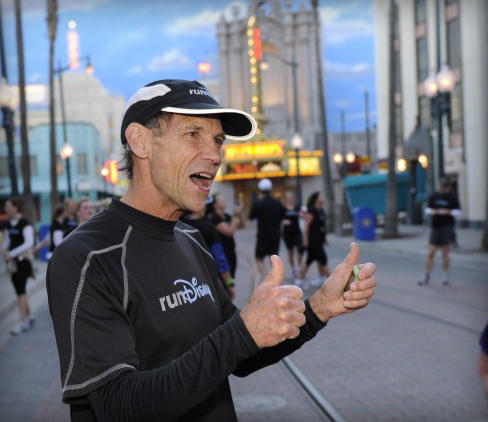 This low mileage run/walk/run® program will prepare participants for an incredible achievement. The magic mile (4 laps around track) which determines pace group placement and run/walk interval is done early in the new session. The magic mile can be run, run/walked, or walked. Session I: The Disney Wine and Dine half marathon, WDW marathon weekend races, 26.2 with Donna (Breast Cancer) full and half marathons and the Disney Princess half marathon. Session II: The WDW half marathon, 26.2 with Donna (Breast Cancer) half marathon, and the Disney Princess half marathon. For more Galloway information and upcoming events and clinics click here.